Rosehaven Homes, one of the GTA’s premier homebuilders, has been busy this fall season. 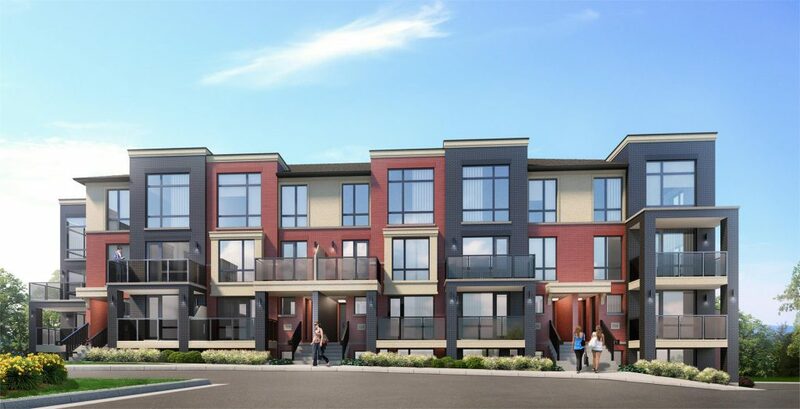 On September 26th, the developer launched the second release of its Urban Towndominiums in its popular Neighbourhoods of Mount Pleasant community in Brampton. The two- and three-bedroom towns have already made a big splash with condo buyers looking for contemporary designs and a vibrant lifestyle. Starting in the low-$300,000s, the towns are especially popular among first-time homebuyers. Black brick and stucco exteriors with sleek glass balconies create a modern facade, while open-concept interiors provide the perfect place for socializing or spending quality time with family members. Each town also comes complete with oversized windows and high-quality finishes like imported floor tiles in the main foyer, kitchen and bathrooms, contemporary kitchen cabinetry and wide laminate flooring in the great room. Buyers can choose from two- and three-bedroom layouts ranging from 838 to 1,230 square feet with a mix of one- and two-storey designs. Each home also includes central air conditioning, modern window coverings and five appliances. Urban Towndominiums is located off Mississauga Road at the corner of Sandalwood Parkway and Veterans Drive, just minutes from a retail plaza with a Longo’s Superstore and a Starbucks opening soon. In addition to the visitor parking spaces available at the development, there are also plenty of convenient transit options nearby including buses and the Brampton GO Station. For more information, visit RosehavenUrban.com or head to the sales centre at 10585 Mississauga Road, Monday to Thursday 1pm to 8pm and Saturdays and Sunday from 11am to 6pm.